Most men are attached to a certain style of leadership that has served them for generations. When a formula works, it is very difficult to imagine that a better way could exist. We call this way of thinking Old Paradigm. New Paradigm is about embracing new models that are proven to be superior in today’s environment. 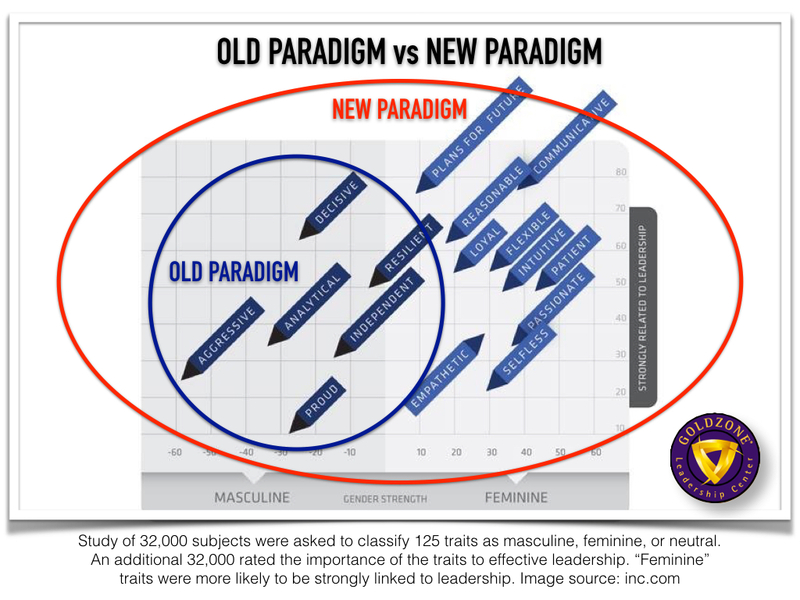 This diagram demonstrates why we need more women in leadership roles and why most men could benefit from adopting more feminine qualities in addition to their typical masculine ones. How Much Did They Pay You to Give Up on Your DREAMS? This short clip is from the 2009 movie “Up in the Air” starring George Clooney. George’s character is delivering bad news about a layoff. Dreams. We all have them. 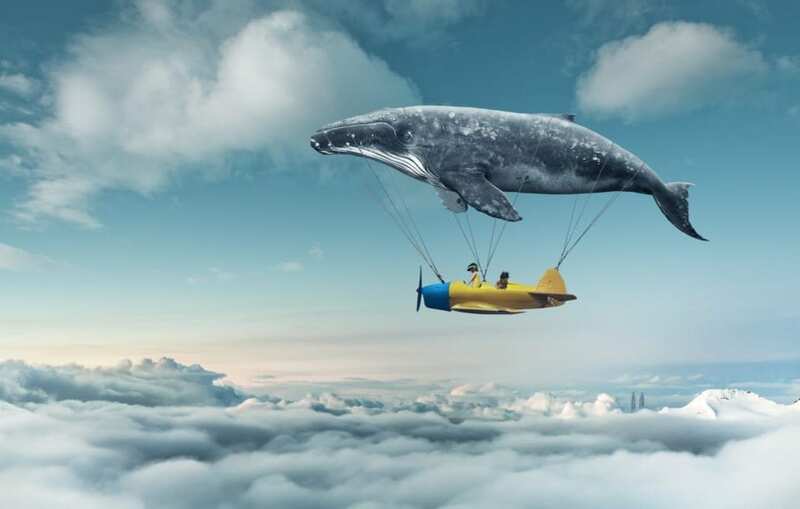 When we were children our heads were full of possibility, dreams, and fantasies. Most of us knew no limits, other than what we were told we could or could not do. As we got older our conditioning from family, friends, society and school brought us down to reality, to what was practical and reasonable. Many of us embarked on careers, expecting them to last a lifetime only to discover that times had changed and we had to change too or become obsolete. to be a Net Energy Generator! Imagine a battery that increases in power when you use it and decreases when you don’t. Wouldn’t that be amazing? Well, the incredible news is that you have such a battery… an emotional one! This is how emotions work. The more you express or use them – the more they grow and the more energy you have. When you withhold, contain or suppress them the less energy you have. 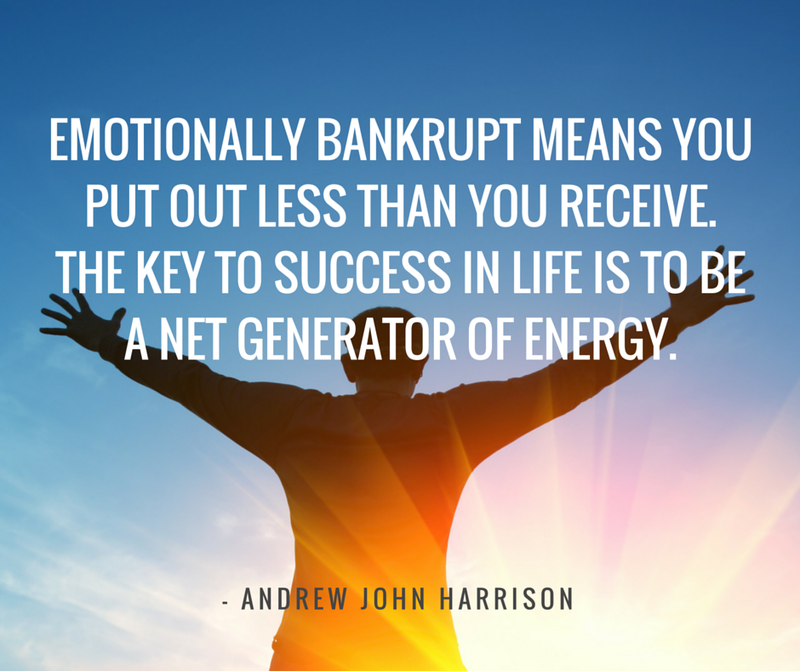 This is why some people end up being emotionally bankrupt. They stop putting out or giving and end up taking. They say little which forces the other people around them to give by way of saying more to fill the empty space. Their emotional battery is empty. In other words they are emotionally bankrupt. Whenever you give more than you receive, you are communicating to yourself, the world around you and other people that you believe in abundance. Regardless of your financial status or position in society, it is possible to generate more energy than you receive. Eventually the excess giving creates a vacuum that can’t help but flow back to you. This positive flow back can be in the form of good luck, energy or good old CASH. Personally I have experienced all three. I find myself easily being in the right place at the right time… people respond positively to me and make huge efforts to give me what I am asking for. Sometimes without me even saying anything. Yup, sounds hokey, but it is true. I was at my favorite restaurant in Beverly Hills the other day and ordered my usual organic chicken soup for lunch. The restaurant is also in Paris and when there, I like to order what they call a chicken Pot-au-feu and it comes automatically with Harissa (Tunisian hot chili pepper paste). So this day in Beverly Hills I thought of Harissa but didn’t say anything, in fact I didn’t even know if they had Harissa! Can you guess what happened? The waiter brought my usual chicken soup and without saying a word brought a jar of Harissa! Wow. Coincidence? I don’t think so. Most people think that emotions are like any other scarce resource that must be held back, saved and conserved. This is so wrong! Emotions are nothing like scarce resources, in fact they operate by different rules. These rules can be learnt. Applied and if you do, you will experience an almost immediate increase in energy and wellbeing. Little by little you will become more and more lucky. How does that sound? Tell people what you like about them or what they did. Give heartfelt appreciation whenever people give you something or do something for you. Use people’s names – they love it! Offer sincere and heartfelt compliments when they do something special or look exceptionally great. Show an interest in people’s lives and notice when they are not happy or are having a bad day. Ask how people are doing and listen when they tell you. Pay larger than normal tips to service staff. Minimize complaining, and if you do complain, offer a solution. Leave every conversation or environment better off than when you found it. Look for the good purpose in every situation, regardless of how negative it may appear. Leadership choices are made every day and yet very little thought is really put into considering the worthiness of the leader. Too often a leader is chosen by default because no one else wants the responsibility. The most suitable leader should have the right combination of a desire to make a difference, experience, skill, attitude and ability. If someone is motivated by power, status, control or greed their decisions, actions and thought processes will be based on their own ego and what’s in it for them – and not necessarily what is right for their stakeholders. Who wants to follow a leader who is motivated primarily by self-interest? Unless of course your interest is aligned with theirs. We call that mutual self-interest. The best leaders know when to lead and when to follow. If a leader is motivated by not wanting to follow, then they will insist on leading – even when they are clearly not the best suited for the role. The end result is suboptimal compared to the right person leading. 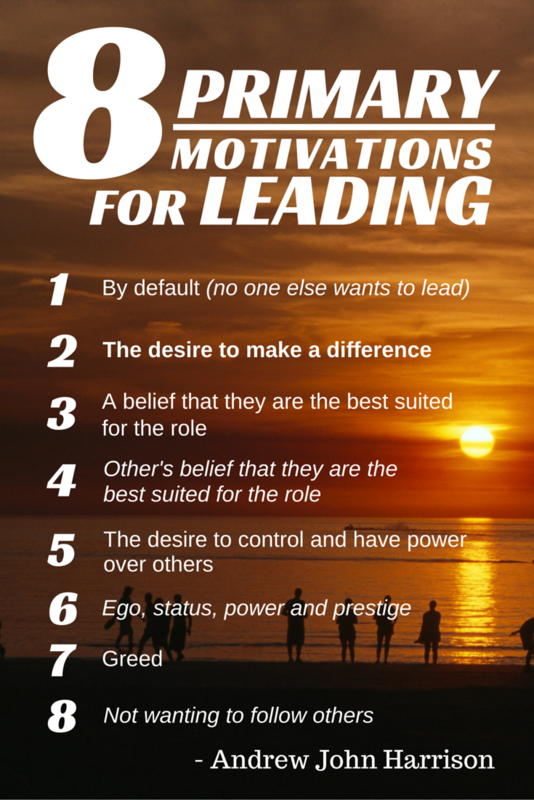 Next time you are choosing a leader, consider these eight motivations and don’t listen to what they say. Consider their past actions and results as good indicators of future results. A lot of well-meaning people end up frustrated when attempting to give people feedback… that is because they don’t have the person’s agreement or attention. Most people view feedback as negative, so don’t do it! Perhaps you have been on the receiving end of feedback that is thinly masked criticism intended to minimize and dominate. This is more common than we would like to believe. As a CEO, coach and seminar leader I have had lots of practice delivering messages to fragile egos. In fact, there seems to be a correlation between the size of the ego and its fragility. Anything that challenges the ego’s view of the world is resisted, often vehemently. It takes humility to be open to input from the outside, so anytime you run into a large ego – you can expect resistance. Working with fragile egos is like walking through a minefield… you never know when you will step on a mine -ka-boom! Regardless of the situation within which you are offering suggestions for improvement, it always goes down better when you warm the recipient up by getting their permission first, then starting with the positive. 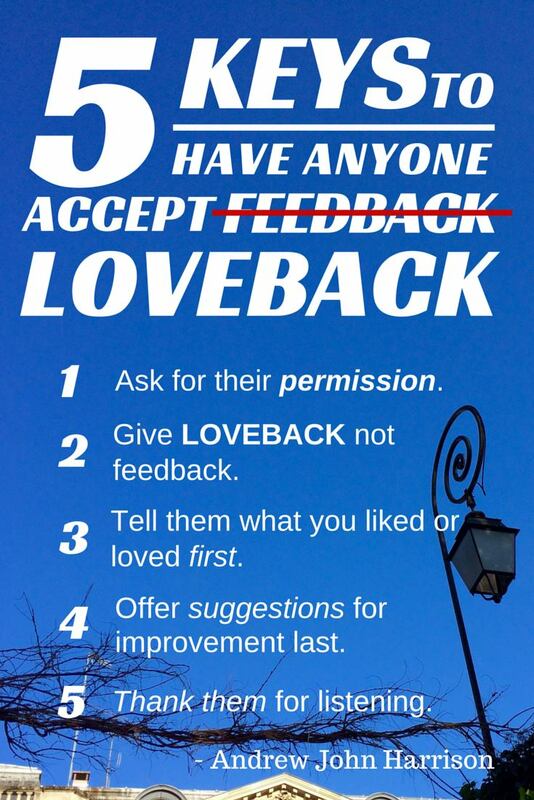 We call this approach LOVEBACK and have found it to be dramatically more effective than traditional feedback. CHANGE > How Do You Respond? One of the most uncomfortable aspects of life is that it involves constant and never ending change. And the pace of change isn’t slowing down anytime soon, in fact we live in an era of accelerating acceleration. How you respond to change determines your level of stress, happiness and success. if you are like most people change brings fear and uncertainty. We like things to stay the same. Often it feels like we are just getting used to and comfortable with things as they are… and bam… something or someone pulls the rug out from under us. It takes a lot of self confidence to know that no matter what happens, no matter what changes – everything will be alright. 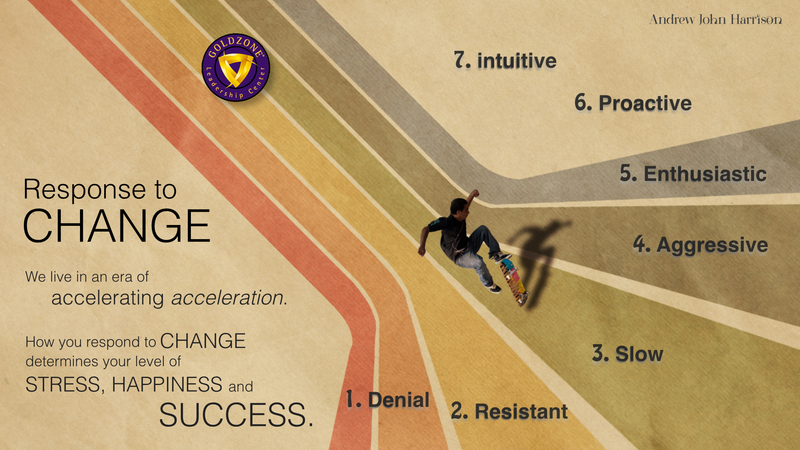 Our research has shown that people respond to change in one of 7 different ways. The least effective strategies are to deny, resist and accept change slowly. Higher up (meaning more effective) is to embrace change aggressively. Even more effective is to be enthusiastic and ultimately proactive which is where you preempt what is soon to happen by understanding and foreseeing the future. By far the best is to adopt an attitude of “knowing” that change is constant and to respond to it in advance without even thinking about it. To live day by day with a balance of mind and heart. Secure in the knowledge that all change serves a higher purpose, we just have to trust and figure out what it is. 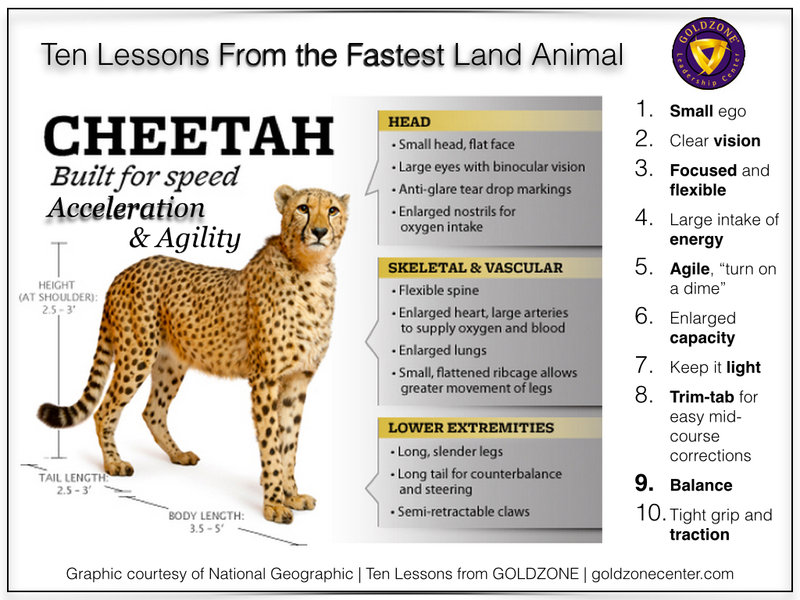 © Goldzone Education. All rights reserved. There are seven different levels of leadership. 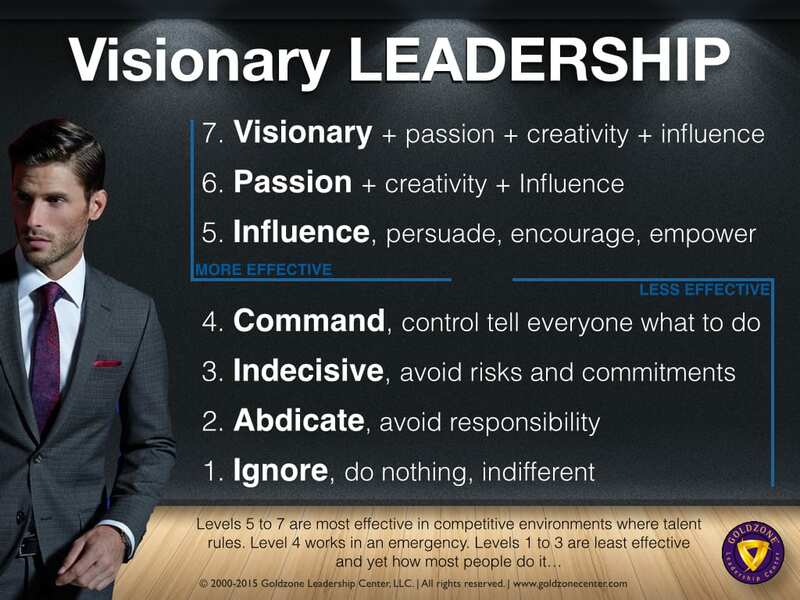 Level 7: Visionary Leadership is the most effective. Level 4: Command and control is how most people lead. Consider two things, one is what level of leadership you use when you are feeling confident and sure of yourself and the other is what level of leadership you default to when you are under pressure? To chase means to pursue in order to catch or catch up with. 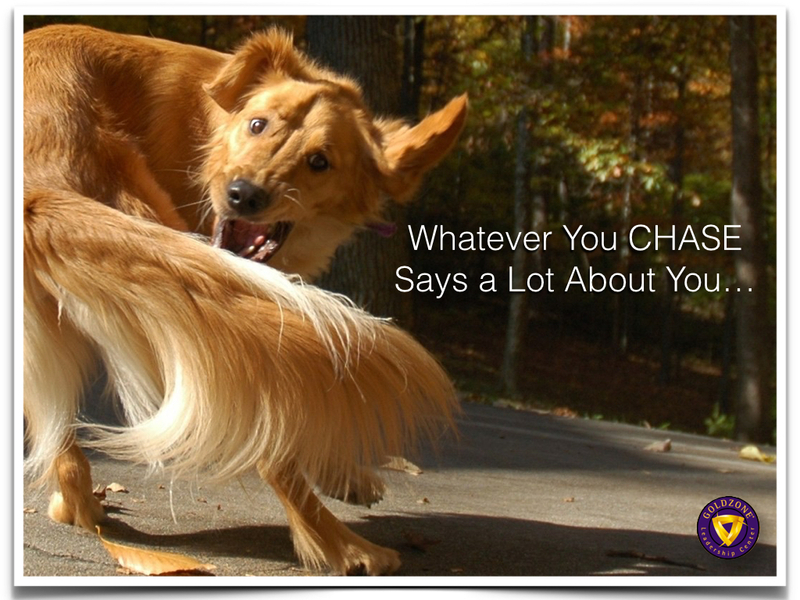 Unfortunately, many people chase their tail, looking busy and yet going nowhere. Where does the idea of chasing what you want come from? What if there is a faster and more effective approach that is counter-intuitive? Here’s the thing, whatever you chase says a lot about you. It speaks louder than what your words say. It communicates your true intentions, your lack, and limitations. Typically we don’t chase what we have in abundance. We chase what we don’t have and by doing so, we telegraph to everyone that we are lacking in the thing that we are chasing. This creates a feeling of neediness, which is repulsive! So if chasing isn’t the way to do it, then what is? The key is to align your actions, beliefs and feelings from the end result of the vision as if it were here now. This point of view collapses time and draws the future into the present. Then from this perspective, there is no chasing. Your vision is drawn to you. Does that mean you don’t have to do anything? Of course, you have to do something! The difference is that the actions you take will be from a position of confidence, certainty and clarity and your results will go up exponentially! Set in the year 2048, after a war, the community elders thought it was a good idea to remove all race, emotions and as many differences as possible. Hmmmm… sounds like removing many of the very qualities that make us human! Before watching this movie I had never heard of the book that it is based on… I was looking for a movie to watch one evening and stumbled on it in iTunes. Filled with A-List actors this movie delivers. I totally loved it! My most profound takeaway is that no matter how well-intentioned people are, in their “infinite wisdom” by removing what makes us human in order to make us “safer” they create a new set of horrors. This manifests as good people engaging in unspeakable acts without even realizing it.